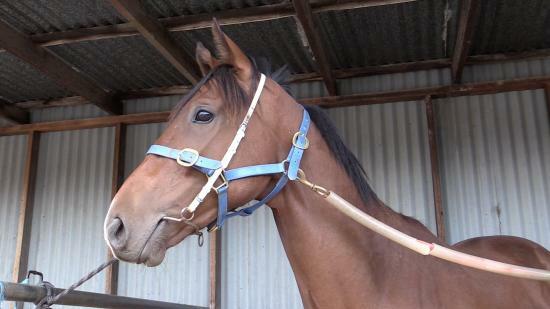 KEEP THE FAITH (AUS) (Brown 2000-Stud 2006). 5 wins-1 at 2-to 1600m, MRC Schweppervescence Cup, L. Sire of 274 rnrs, 188 wnrs, inc. SW Trust in a Gust (MRC Sir Rupert Clarke S., Gr.1), Dinkum Diamond, Soldi Domani, Honey Steel's Gold, Lucky Penny, Socks, SP Sayahailmary, Mexborough Boy, Keep the Cash, Extra Virgin, The Counterfeiter, In Faith and of Jessica Rose, Gold Bundle, Faith in Fate, Son of Faith, Ilgattino, Lead Us, San Clemente, etc. Untamed Diamond. 4 wins-1 at 2-to 1200m to 2016-17, WRC Going South 3YO S., ARC Withers & Co H., ATC #Theraces H., 2d ARC Celebrating Durham Town 2YO S., Waikato RC Hinuera Lodge H., 4th ARC Soliloquy S., L.
Hot Diamond. 2 wins-1 at 2-at 1000m, 1200m, A$76,750, SAJC Clean SA H., Christmas Twilight H., 2d SAJC Schweppes Tonic H., Reliance Tailem Bend 2YO H., Steve Day's 50th H., Miss Vicki & Muse Boutique H., 3d SAJC Bridges Financial Services H., Gliderol Garage Doors H., Bennie Conway H., Windsor Estate Wines H., Adelaide Cup Day H.
Radical Impact. 4 wins at 1200m, A$145,795, 2d ATC Hyland Race Colours H.-3 times, Schweppes H., McGrath Estate Agents H., 3d ATC Hungry Jacks H., Clubsnsw H., Wyong RC Provincial Championship Qualifier. Made to Fly. Winner at 1900m, 3d TRC Seize the Day Scholarship H.
Ask Me How I Know. 3 wins at 1200m, 1600m, A$104,500, in 2015-16, SAJC Exelsuper H., Ubet Adelaide Cup Raceday H., 2d SAJC Ubet Adelaide Cup Raceday H., 3d SAJC Ubet 3YO H.
Brilliant Snitzel. Winner at 2, 2d ATC Bowermans Office Furniture 2YO H.
Heart Reigns. 4 wins-1 at 2-to 1250m, SAJC 2YO H., 2d SAJC WH Wylie Memorial H., 3d SAJC Vic Flowers of Hyde Park H., Stillwell Ford H., Holden Barina H., 4th SAJC HC Nitschke S., L.
Tagapagmana. 5 wins-1 at 2-to 1500m to 2016 in Philippines. PRINCE CALL (Aurum). 12 wins from 1500m to 2000m, SAJC City of Adelaide H., L, Sanctus H., SGIC H., Embassy Welter H., Munnings Welter H.
Royjohn. 7 wins to 1350m, BATC Crusader Limited H., QTC Maisons-Laffitte H.
The Producer. 6 wins-1 at 2-at 1100m, 1200m, Qld Tatt's RC 2YO H., 2d BATC 2YO H.
Money Gold. 3 wins. See above.